Meet the handsome rogue Dyson! He came to Holly Hedge as a stray and is now longing to find his ‘furrever home’. He is quite nervous around people, but we are doing some rehabilitation work with him to help him feel more confident. This will take a little time and patience and will need to be continued in the home. Dyson is looking for an experienced cat owner with a calm, quiet home. 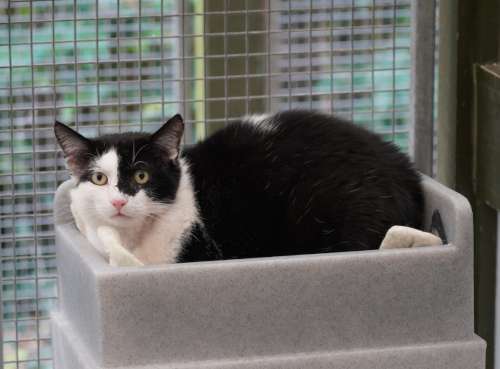 If you would like to meet our handsome boy, please speak to the cattery team.